For some cooks, grilling is the preferred method for cooking meat. 1 Is Grilled Food Healthy? Grilling and pan-searing are two distinct methods used to cook a wide range of foods. While pan-searing requires the addition of a fat, such as oil or butter, cooking food on the grill can be done without adding calorie-heavy ingredients. The equipment is also different. Pan-searing requires a frying pan, while grilling is done on a barbecue. What you cook and what flavors you want can help you determine what method to use. Pan-searing means lightly frying meat or vegetables in a small amount of oil, butter or other soluble fat until slightly browned and crispy. This is different from frying, which uses oil exclusively -- and a lot more of it. Grilling requires a barbecue and is usually a longer, slower cooking method. 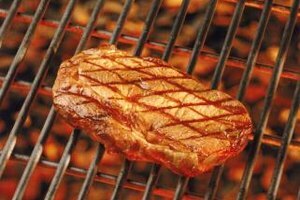 Meats can be marinated and seasoned beforehand, but eventually they are just placed on the grill and flipped once or twice until cooked. Both methods require good flipping technique with a spatula or similar utensil. Many cooks prefer grilling meat because it gives your steak, pork or other meat product a smoky flavor that is difficult to achieve by pan-searing. On the other hand, pan-searing allows you to retain the meat’s natural fat and flavor in the pan, which can later be used to create a sauce. In terms of texture, both methods produce crispy skins, but grilling tends to give your meat a drier texture, while pan-searing tends to give it a fried, greasy texture. When it comes to convenience, pan-searing may be a better alternative to grilling. Most barbecues are designed for outdoor use and some require charcoal. Having a gas grill will cut down on prep and cleanup time, but you still have to consider the inconvenience of transporting food and kitchen items in and out of the house. Pan-searing requires only the use of a frying pan, making for an easy meal, even if it’s just for one or two people. Both grilling and pan-searing are associated with certain health concerns. According to Kansas State University, one of the main concerns with cooking meat or fish at the high temperatures normally used for grill and pan-searing is the formation of heterocylic amines, or HCA, a compound known to cause certain types of cancer. 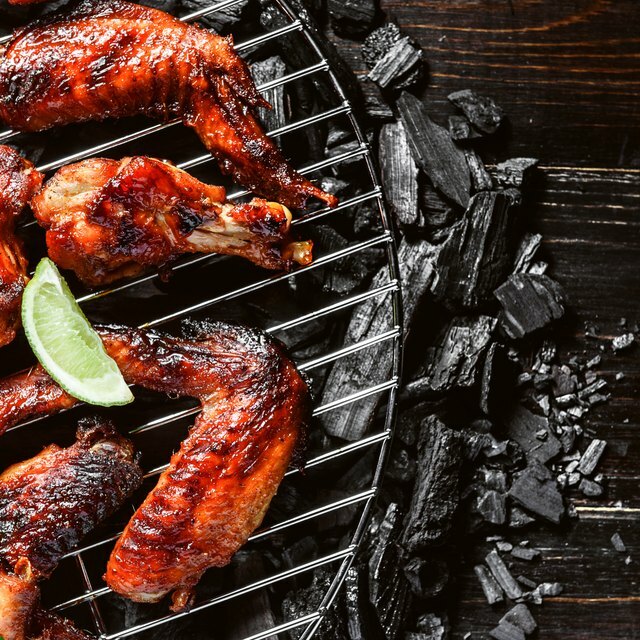 Grilled meat can also cause polycyclic aromatic hydrocarbons, or PAH, another potential cancer-causing chemical, to form in the smoke produced by fat dripping onto charcoal. Grill or pan-sear vegetables to avoid these dangerous chemicals altogether. While both methods are relatively flexible in terms of what you can cook, certain foods are more apt to one method over the other. Flaky white fish, such as flounder or hake, has a tendency to fall apart on the barbecue because of the spacing between the grill bars. It is a lot easier to pan-sear such fish. Tougher fish, such as tuna or swordfish, cook just fine on the grill. If you are cooking large chunks of meat, such as a full leg of lamb, the grill is your best option. Kansas State University: Does Grilling Cause Cancer?